Osaka (Japan) — February 6, 2019 (travelindex) — Best Western Hotels and Resorts has launched its exciting new SureStay Hotel Group concept in Japan with the opening of a brand new hotel in Osaka. 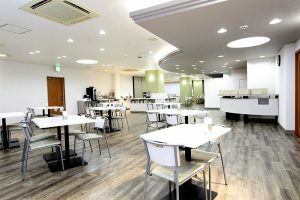 SureStay Plus by Best Western Shin-Osaka is a stylish upper-economy hotel developed by Fino Hotels Co., Ltd. Located in downtown Osaka’s Yodogawa district, this modern hotel is perfectly positioned close to Shin-Osaka Station, with bullet train services to and from major cities including Tokyo, Nagoya, Hiroshima and Fukuoka. Meanwhile, the Osaka Metro network makes it quick and easy to travel around Japan’s second largest city, with regular connections to the Shinsaibashi, Namba and Umeda districts. SureStay Hotel Group’s three brands — SureStay® Hotel by Best Western, SureStay Plus Hotel by Best Western, and SureStay Collection® by Best Western — provide hotel owners with the opportunity to harness Best Western’s extensive global network, in terms of sales, distribution, technology and support, while giving guests the reassurance of staying with a globally recognized hotel group. In addition, members of Best Western Rewards®, the award-winning guest loyalty program, will be able to earn points on their stays.